Grind the chocolate cookies and the after eight chocolates in the food processor. Add the melted butter and chocolate and blend. Mix the cookies with melted butter and chocolate in the tart mold. Press. Melt the marshmallows together with the cream cheese at 900 watts for 1 minute in the microwave. Stir smooth. Beat the whipped cream until stiff.Stir the cream cheese with the marshmallows through the whipped cream. Finally, add the mint extract and the green colorant as you like. Scoop on the cookie base. 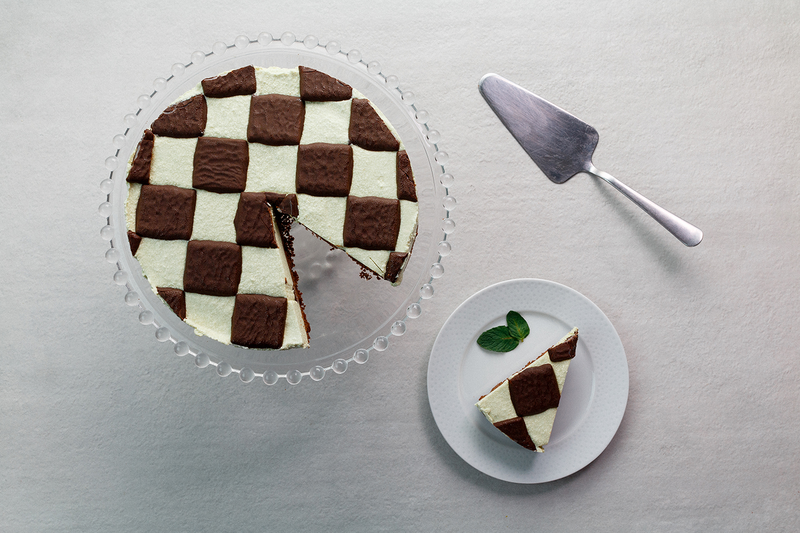 Smooth and decorate with the after eight chocolates. Enjoy! The Professional Measuring Spoon ensures you an accurate measuring of your desired measurement.With its smooth adjustable measuring and easy to read markings, baking and cooking food become as quick as lightning strike.